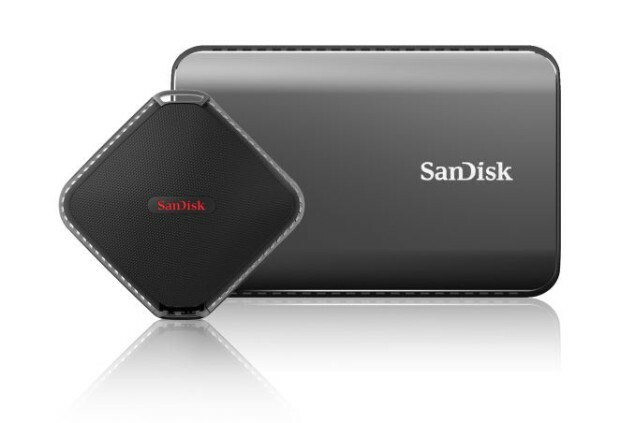 SanDisk unveiled their new portable solid state drives (SSD) at Computex 2015. They are external portable SSD drives with Type-C interface. They also introduced standard USB 3.0 thumb drives – Ultra Fit 128 GB and Ultra 256 GB. The SanDisk Extreme 900 Portable SSD comes in three capacities: 480 GB ($400), 960 GB ($600) and 1.92 TB ($1000). It has a maximum performance rating of 850 Mbps. The SanDisk Extreme 500 Portable SSD also comes in three capacities: 120 GB ($100), 240 GB ($150) and 480 GB ($240). Whereas this one has a maximum performance rating of 415 Mbps. Both these SSDs are secured using 128-bit AES encryption and they are bundled with SanDisk SecureAccess software. They have compact aluminum casing and the internal flash has RAID-0 fashion with SATA interfaces. They are both equipped with Type-A and Type-C cables. These solid state drives will be extremely useful for portable storage, especially for devices like the new Apple MacBook and Google Chromebook. Earlier Google announced USB Type-C can convert Android devices into portable power banks. USB Type-C is the future and almost all the popular brands are converting their standard cables into this. I have always been a big fan of SanDisk products and now this new SSD will be in my wishlist soon. Looking at the way time flies, I’m pretty sure almost all the devices will have USB Type-C within a matter of time. Do let us know what you think about these SanDisk products, do you think their price matches their performance?